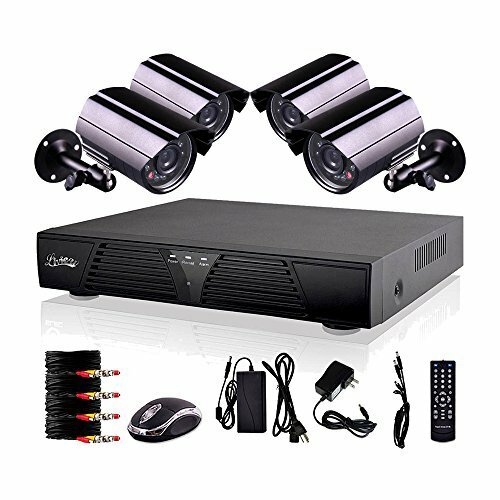 Feel protected with Laview 960H security system with live viewing and 600TVL high resolution day/night cameras. 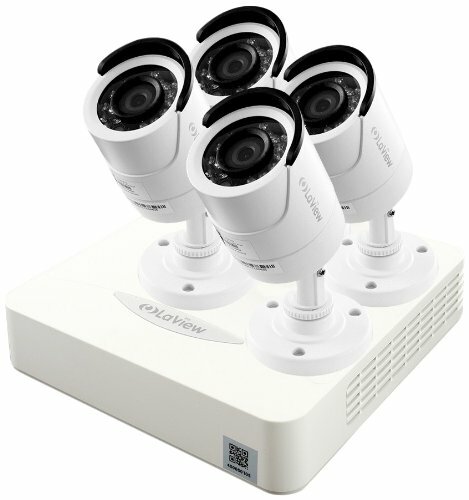 Monitor all your cameras simultaneously for longer periods of time on the pre installed surveillance grade hard drive. Have the ability to personalize your DVR and schedule, manual, or motion activate it to record and meet your needs in a security system. 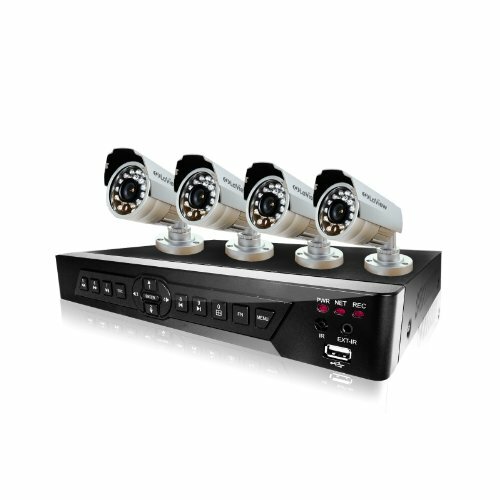 The DVR has impressive recording and playback capabilities with the H.264 compression. 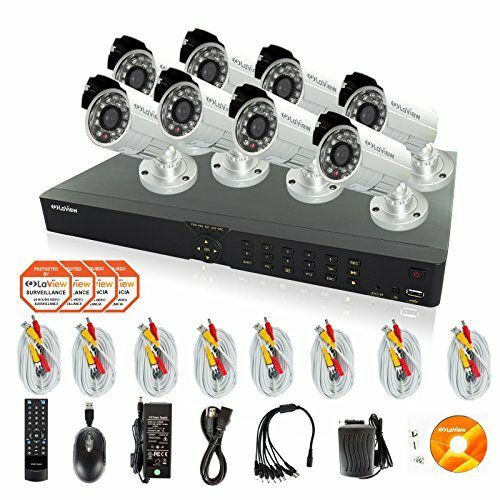 LA View IP Premium Security System helps you keep an eye on homes, businesses, people, pets, and more. 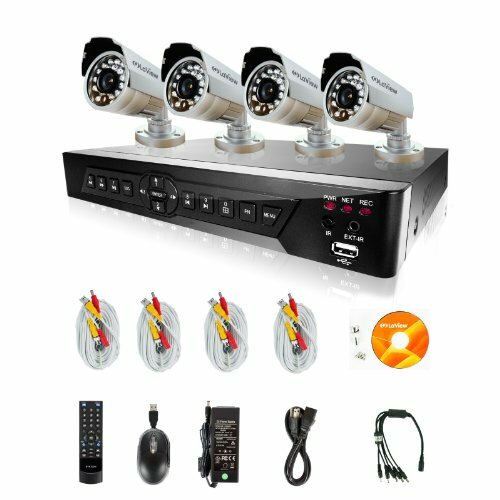 This system comes complete with everything you'll need to set up a simple surveillance solution. All you have to do is take everything out of the box, follow the easy Quick Start Guide or YouTube (La View USA) tutorial and you'll be set up in no time. 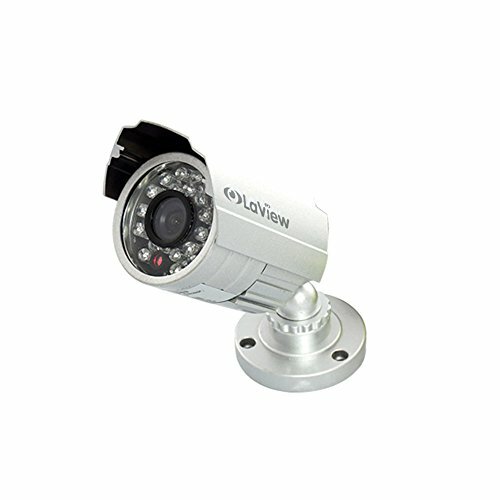 Laview LV-CBA2963 Indoor/Outdoor Bullet Camera features 600 TV lines of high resolution images that can help improve security at your home or business. The 1/3" PixelPlus, 3.6mm fixed lens allow for a fuller range of vision that lets you see more. 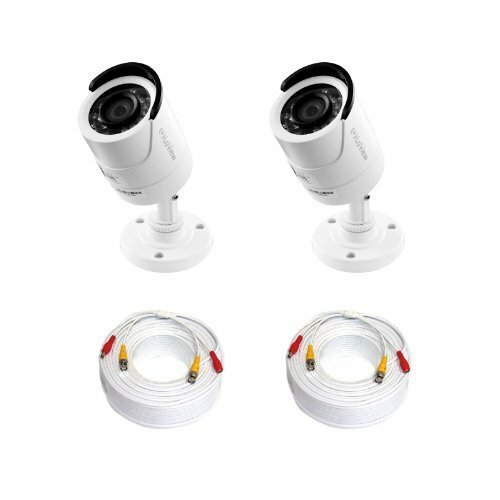 You can record clear footage on the camera during the day or at night with the 24 infrared LEDs that has the ability to monitor activity up to 50ft away. The vandal-proof designed makes it durable and helps prevent damages from outside elements. 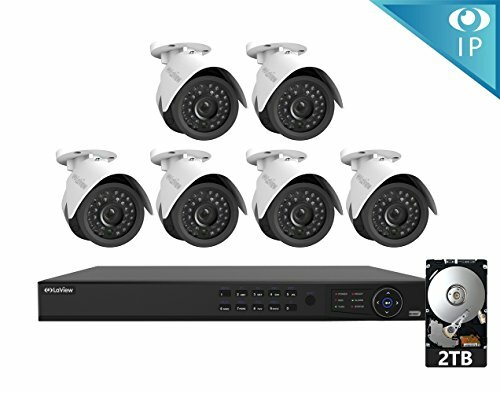 Experience the all-new, stylish and high-performance Security Surveillance System, LaView LV-KDV2404W1-1TB. The compact DVR runs quietly and provides advance performance while saving time and space to record longer with the pre-installed 1TB hard drive. 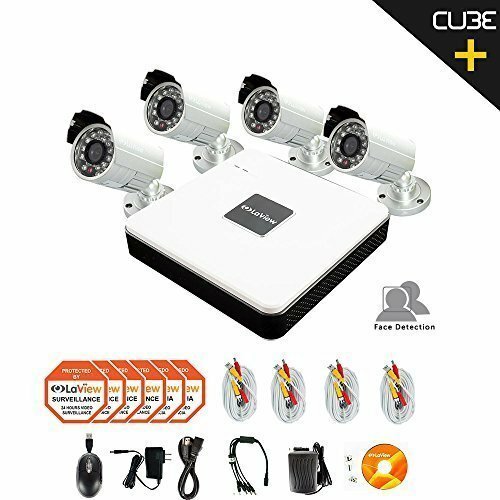 The 1.3MP/1,000TVL High-Resolution IP66 weather-resistant Day/Night Black Bullet Camera provides HD video experience in 960H widescreen video viewing and playback, which is perfect for HDTV or monitor. Easily set up your DVR to alert you with screen tips, a buzzer sound or email whenever your DVR motion sensor is triggered. CIF vs. D1 See every detail with better coverage to help defend your business or home with LaView's complete surveillance systems. 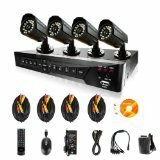 Its state of the art D1 surveillance allows you to watch full screen monitor high resolution video playback and recording. Stream live from your Internet, Smartphones, and iPad. 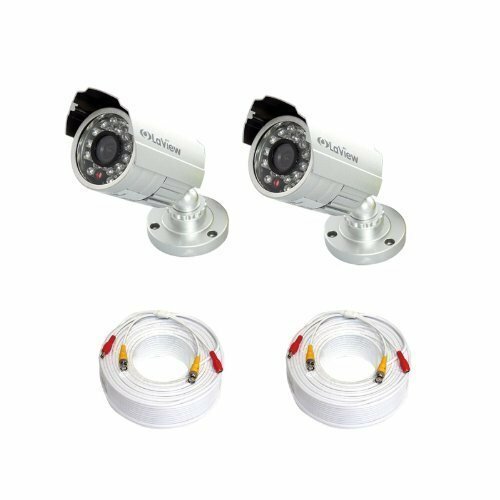 Indoor/Outdoor Camera The four 520TVL cameras provide clear video through high resolution image sensors with night vision up to 50 feet and the ability to operate indoors and outdoors. It's true IP66 weather proof rating helps protect the cameras from all conditions. 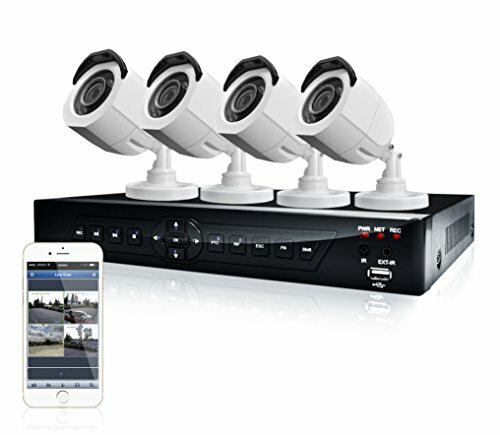 Simultaneously View and Record from All Cameras With 4 high resolution 520TVL cameras included, you can receive optimal coverage of your business or home all at once. This system offers D1 resolution displaying larger images than the common CIF. With greater viewing area and playback resolution, it's the better solution in protecting your business or home. 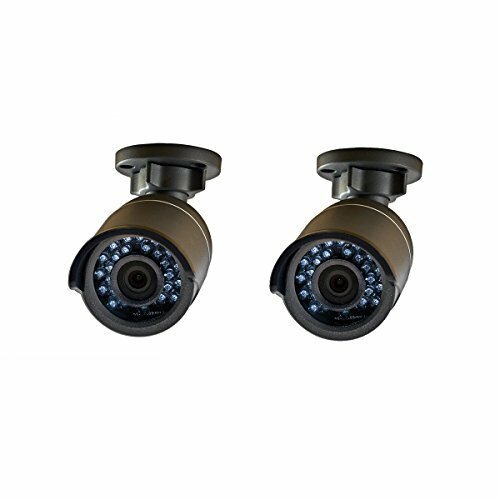 Wide Operating Temperature Range This camera offers the ultimate durability to effectively operate in any temperature ranging from 14°F to 122°F indoors or outdoors. Its strong housing and fully integrated technology allows it to properly function whether it's mounted in the snow, rain, or under the scorching sun. 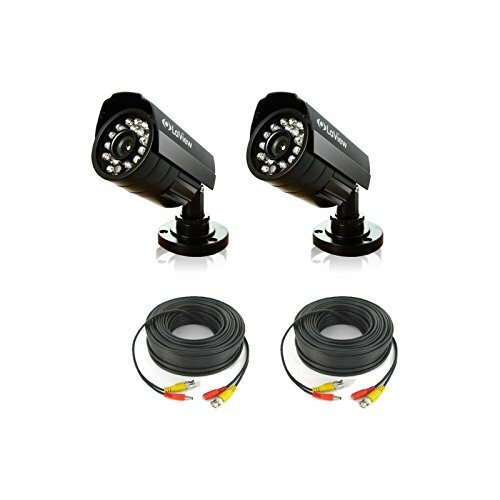 Remote Connectivity • Operating system support • Compatible monitoring browsers • Multiple viewers • Custom set your bandwidth to match your Internet speed • Instant viewing on cameras through your smartphone or tablet Day and Night Protection with Infrared LED Vision Automatic infrared LED technology allows you to monitor your business or home 24/7. The infrared LEDs activate when it's dark or low light to display black and white night vision capability up to 50 feet. High resolution 520 TVL sensors provide clear images, even in the dark. 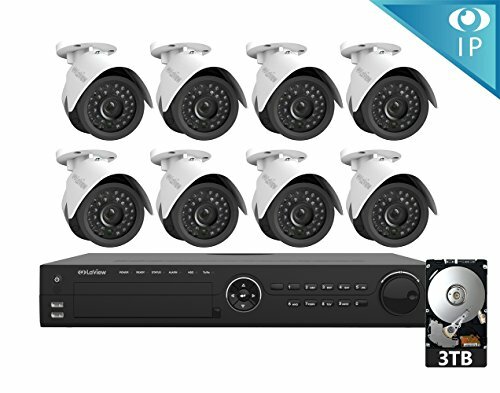 This security system comes complete with everything you'll need to set up a home or business surveillance system. 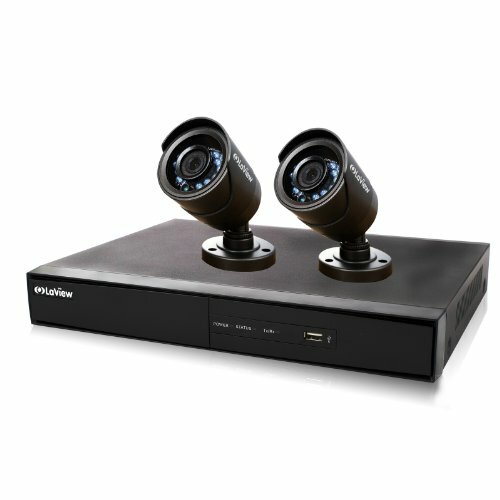 It comes with high resolution cameras, a DVR, and a pre-installed Western Digital surveillance grade hard drive. Using its quick start guide, you can easily install by yourself. Learn how to quickly download and link your Smartphone or tablet to remotely view the system from anywhere 24/7. You can also set up alert notification when motion is triggered. Have a peace of mind with LaView.